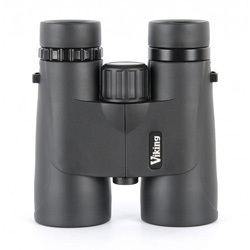 Viking are a well known brand when it comes to affordable optics, most notably as being the producer of RSPB Binoculars. 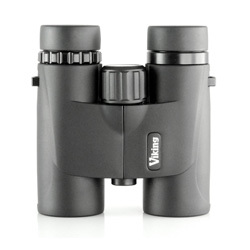 The Navilux models are Viking's entry level binocular, starting from £139.95 at RRP, they are available in 3 sizes; 8x32, 8x42 and 10x42. In this review I will be taking a look at all 3 models. Many years ago now, my first pair of binoculars were Viking Navigators, the predecessor to the Navilux. The latest models were improved with a new body, though the optics remained mostly the same. With the Navigators being a popular model for many years, there was obviously little reason to change what's inside. On paper, the Navilux models feature all the specs you'd expect for a binocular within this price range but aren't set to blow you away. Real world testing is much more useful than specs though, so as the rain persisted, the generally dim conditions were set to test the performance of the bins. With all 3 models by my side I prepared to put them through their paces. The smallest and lightest of the three, the 8x32s, feature the same 7.4° field of view as the 8x42s, with the 10s set at 5.8°. These are all pretty standard values, with the lower magnification models obviously offering a wider image, easier when trying to find and follow a distant bird. That's not to say the 10s felt cramped mind you, they were still easy on the eye. Brightness is decent, with an exit pupil (see our guide to binocular terms) of 4mm, 5.25mm and 4.2mm on the 8x32, 8x42 and 10x42s respectively. Each of these will gather enough light even in conditions like today, only at twilight will perhaps the 8x32s and 10x42s begin to suffer with 8x42s probably allowing you to keep going that bit longer. A similarly priced model, the Opticron Trailfinder, features phase correction, an extra glass coating designed to improve sharpness. The Navilux models are without this and admittedly when comparing the two, I could notice the difference. None-the-less, the Naviluxes are still crisp, in fact they're pretty good at the edges with little distortion too, one of the stronger points of these bins. Close focus is quoted at 2m by Viking Optical, about right for the 42mm models, but way off for the 32s, I could get as close as 1.1m away. I have yet to review a pair of binoculars where the build quality has let them down, the Naviluxes are certainly no exception. They feel tough without being too heavy, I should think owing to a polycarbonate body. In fact, the whole range are lighter than most other similar pairs, even more so than the open hinge Hawke Nature-Treks, all coming in significantly under the 700g mark. As expected, the 8x32s are the lightest of the bunch at 554g with the size difference not hugely noticeable but still beneficial for the smaller hand. Comparing them with Viking's Vistron Pro 8x32 or Opticron's Discovery 8x32, the smallest Navilux models are hardly pocket size. All in all, the rubber armour offers good grip, the focus wheel turns smoothly, the diopter allows for easy adjustment with good resistance and the twist out eye cups sit firmly in place. Comfort wise, all 3 models feel well balanced and owing to their light weight as mentioned earlier, they are certainly easy to use one handed too. The eye relief was well suited to my eyes on all pairs, each fitting comfortably allowing for a clear picture. Again, I wasn't blown away by the build or comfort, just pleased by it. Supplied in the box with the Viking Naviluxes are a rainguard, stay on lens caps, soft case and a fairly basic strap. There's no cleaning cloth, though a simple one only costs a few pounds I think Viking could/should include one in with the binoculars, given the roundabout £150 price tag. A 5 year guarantee rivals most others for the price though, certainly enough to offer peace of mind. I can certainly see why the Naviluxes have long been a popular pair of binos, I certainly never had reason to complain when owning my Navigators many moons ago. All in all, the Naviluxes aren't going to wow you, but across the board will please you with their light weight, small size and clear optics.